Corporate marketing (like all things in life…) is similar to building a house. A solid foundation is what supports the activities happening at the top, which means ensuring your marketing channels are thriving is critical to your enterprise brand’s success. The very foundation of your marketing operations is where real growth needs to happen if you want to drive revenue. Each of your marketing channels (your branches, franchises, distributors, brokers—whoever is responsible for selling your product or service at a local level) are face-to-face with your customers every day. They know your local customers inside out and know how to speak to them in ways that resonate, so the power really lies with them when it comes to establishing your brand and increasing sales. So how can corporate marketers keep watch over each and every one of their marketing channels, ensuring they’re capable of driving better results? If your organization has 50 or more marketing channels, it can almost seem impossible to keep up, and even if you could, you’d have to have the resources to analyze each local team’s results to figure out exactly how to improve them. Seem overwhelming? That’s where a distributed marketing platform comes in. A distributed marketing platform tracks every single marketing campaign or communications that goes out the door with your brand’s logo on it, giving you full visibility into information like when campaigns go out, how many people they’re sent to, what kind of personalization is incorporated, and how many leads were generated from a particular campaign. With analytics derived from your distributed marketing platform, you can assess your marketing channels’ campaigns in a more granular way and use your findings to inform future marketing efforts. Collecting, analyzing, and putting data to work is how you can really start to increase your marketing ROI. 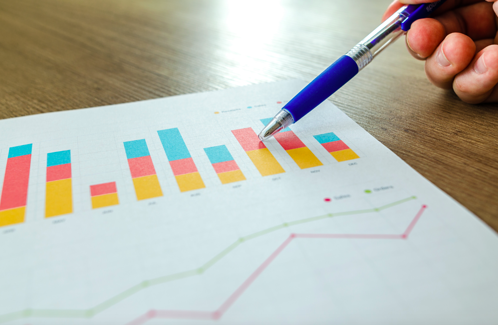 By gaining insight into which types of media are driving the best results, you can determine how to allot your marketing budget in a highly strategic way. Does print outshine email at a specific location? Do your social channels tend to be more active in a particular area of the country? By getting answers to these questions (and many more), you’ll be able to more effectively decide how to divide your marketing budget and how each marketing channel can optimize its efforts by focusing on their most successful tactics. A distributed marketing platform is more than just software you plug into your existing tech stack—it’s an all-encompassing, integrated solution that is directly responsible for better branding and, in turn, revenue generation. Distributed marketing collects valuable data from each of your marketing channels, allowing you to strategize more effectively and on a case-by-case basis. Think distributed marketing could have an impact on your marketing operations? Check out The Ultimate Guide to Distributed Marketing to gain a deeper understanding of distributed marketing, including who it works for, how it enables your marketing channels’ campaigns, and how it can drive better ROI for enterprise marketers. Click here to get your free copy of the guide.